Mariano Trujillo is a former Mexican professional footballer who made his professional debut with UNAM Pumas. He has played for other teams like Santos Laguna, Monarcas Morelia, Skoda Xanthi, Atlante, Chivas USA, Chiapas as their left-back. Currently, he works as an analyst for Fox Deportes. As an analyst, Edgar Mariano Trujillo Reyes reportedly earns around $61,188 as his yearly salary from Fox Deportes. Further, Edgar Mariano Trujillo Reyes has an estimated net worth of over $7 million. Edgar Mariano Trujillo Reyes was born on May 19, 1977, in Mexico City, Mexico. As per his nationality, he is Mexican. Further, his star sign is Taurus. There is less information regarding Mariano Trujillo's educational background where he studied and graduated from. Trujillo made his professional debut with UNAM Pumas in October 1996. In 2001, he transferred to Santos Laguna when they won the Verano 2001 championship. Trujillo went back with Pumas in the Invierno 2001 and played there until the 2003 Apertura to Monarcas Morelia. With Morelia, he played until the 2007 Clausura. In 2007, Mariano Trujillo signed a 2-year contract with Skoda Xanthi of Greece, but for some personal reasons, he left the team and played with Atlante for the Clausura 2008. He signed for Chivas USA in March 2009, just before the new season and played18 games and made three substitution appearances for Chivas USA in his first season. 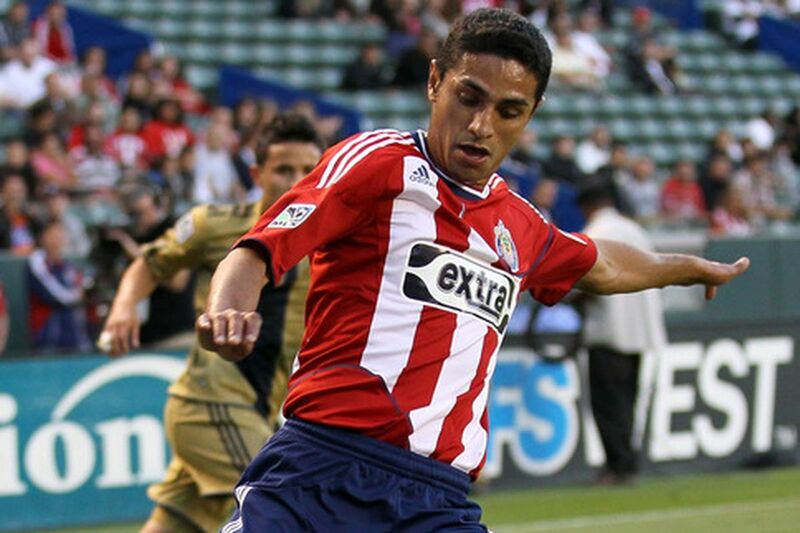 He remained with Chivas USA through the 2011 season. At the end of the season, the club declined his 2012 contract option. Thus, he entered the 2011 MLS Re-Entry Draft. He was not selected in the draft and became a free agent. Mariano is now a member of Jaguares de Chiapas, Mexican soccer club as a coaching staff. He played two games with the Mexico national team in 2003 and scored his only international goal in a friendly match against Peru. He was also a member of Mexico's U-20 squad at the 1997 World Youth Championship in Malaysia. Mariano Trujillo is married to his wife, Tania Trujillo. The couple walked down the aisle in 2002. Together, they have two children named Ethan Trujillo and Abby Trujillo. Mariano has posted several photos of his family on his Instagram page. Mariano Trujillo has posted several photos of his family at Christmas and on the beach. He seems to spend quality time with his family whenever he's free from work. As of 2018, Edgar Mariano Trujillo Reyes has an estimated net worth of over $7 million dollars. Further, he has an average salary of $61,188 dollars annually, working as an analyst for Fox Deportes. Other than being a former footballer, Edgar Mariano Trujillo Reyes is pretty famous in social media. He has 10.6k Instagram followers and 38.4k Twitter followers. Edgar Mariano Trujillo Reyes was not only a world-class athlete but also has a very attractive individual. The former footballer is 5 feet 8 inches in height and weighs around 68 kg.